Possible before my term ends. There were a couple of highlights that I wanted to share about why this summit was especially awesome! The summit started with two awesome things that were historical and especially welcome during Black History Month. 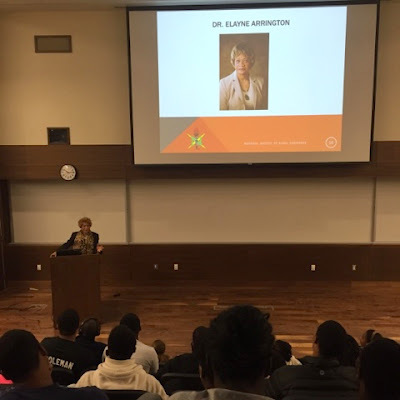 We had a very inspiring speech from the first African American woman to graduate from Pitt Engineering. It was crazy to here some of what she had to deal with. Her teachers doubted her simply because she was a girl! She could not even take ROTC (physical education is required to graduate) because they did not allow females in the program. After hearing her struggle, it reminded me of why I am such an advocate for NSBE. There are many people who do not get the chances I get and I will keep fighting to make sure that one day, a lot more diverse students can be engineers one day. 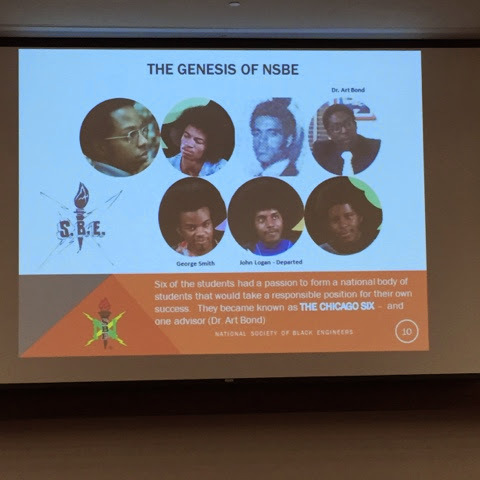 The second awesome history lesson was a NSBE history lesson. Our NSBE National Chair, the president of our organization, taught the lesson. NSBE was started by the Chicago Six at Purdue University. They held the first NSBE national conference during a time where the students had to drive through the night to avoid the KKK but still came because it was that important to them. Towards the end of the presentation, there was a slide about statistics. 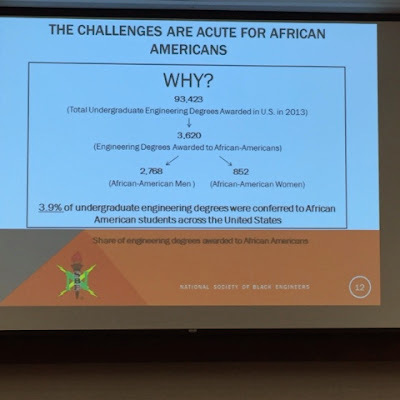 The sad fact about the state of engineers is that though there are more black engineers graduating than during the time of the Chicago Six, 4% of the engineers graduating are black! That number needs to be higher but also there needs to more groups represented. We are all so smart! We did an activity with high school students. 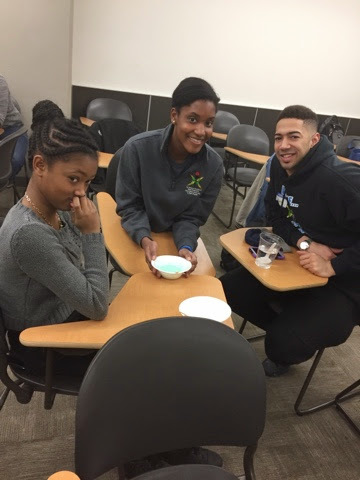 We made silly putty using borax, glue and water. One of my senators and I were teamed with the best girl! She was so funny and sassy and she taught me a lot about what the young people like now - Tyler Oakley and lots of YouTube. I always love working with high school students because they have so much potential to be the future of America. 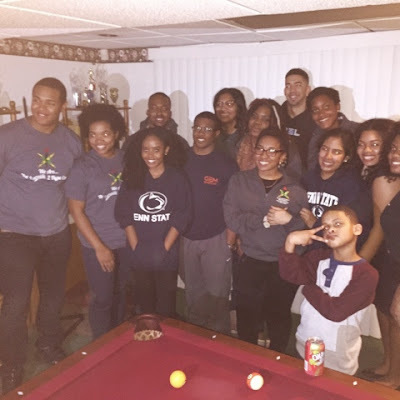 Our chapter had a break until 8:30 and we ended up staying at my membership chair's house. It turns out her parents were celebrating her birthday and she had us all over there. We had a great time with her family, meeting her cousins and bonding with other NSBE chapters that come over to her house to celebrate too! We stayed overnight for the first time during an End Zone Summit. 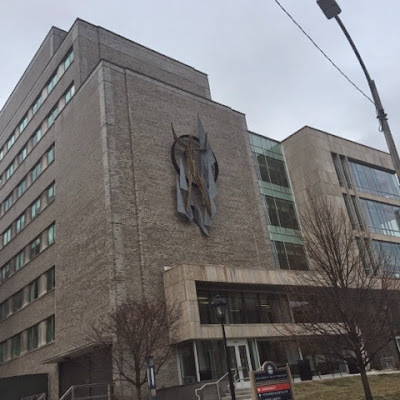 I stayed with a lovely girl and we ended up going out in Pittsburgh on the south side with all the legal students. We had a great time navigating the bars and teasing all of our friends. The second day was filled with more chapter focused activities. We had to plan an event using all the members of the board but they could not meet face to face. Only the president could meet everyone and had to pass information along. We were allowed to use technology which as cool but still hard because I think face to face meetings are the most effective for my board. loved this facade on this building. I think it is a human body but something about it was cute to me! Of course, I had to stop at my favorite place in Pittsburgh. 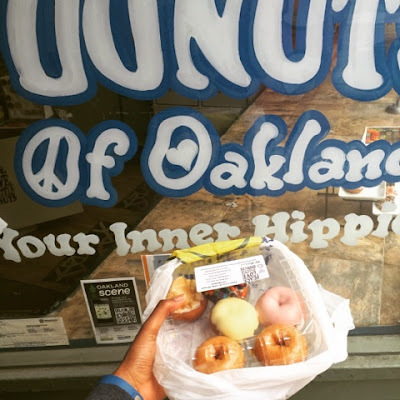 Peace, Love and Little Donuts is a small donut shop on Meyran Avenue. They have different frostings and toppings. I always get the Disco Half Dozen because you get 2 "plain". two with frosting and then two with toppings and frosting. This time, I got two glazed, a raspberry frosted, lemon frosted, an apple pie and m&m. They were all delicious the next day.